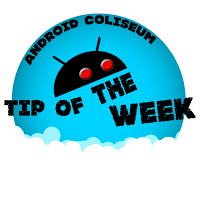 This #tipoftheweek was discussed during Sunday Afternoon Hangout #58. Nowadays with the quick rise of all the cloud options out there (my favourite so far is CX), it's getting easier and easier to share files. The old days of attaching an actual file to an email is slowly going the way of the dinosaur (at least I hope it is). But there are that time that attaching is unavoidable. 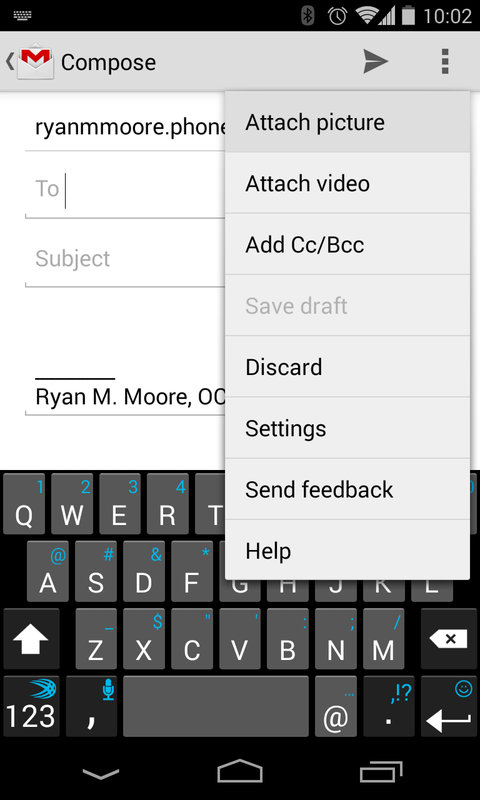 With my favourite email app, Gmail, you can quickly add pictures or videos. 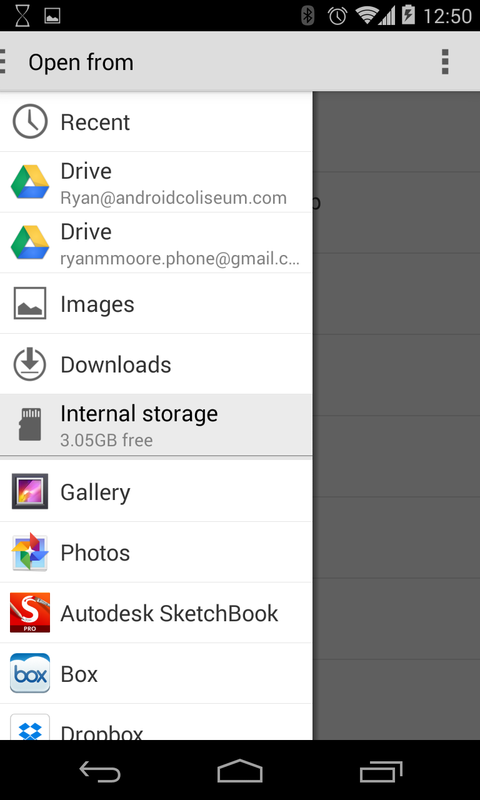 Sure enough, you could go from your document file, or file explorer, pick the file and then choose to share it, then pick Gmail as the sharing app. But what if you were in Gmail, got that email of "Hey, Tom, can you send me that file?" You don't want to have to exit Gmail, then go to the explorer of your choice, choose to share, then... etc... It'd be much easier to reply, attach. 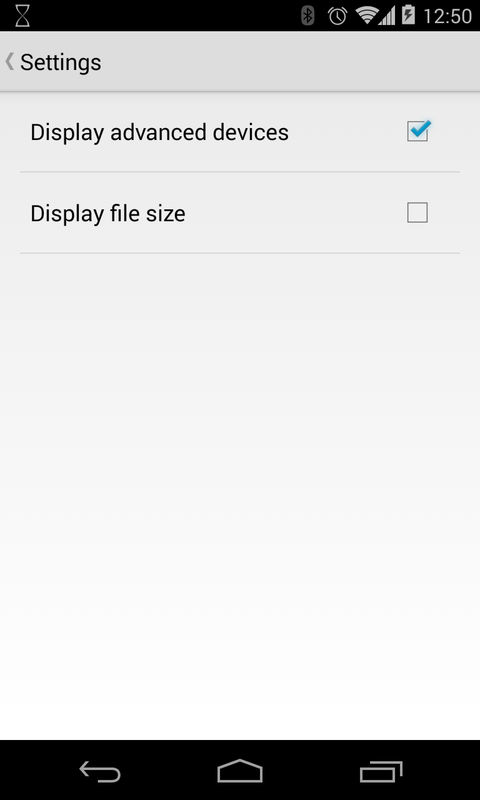 On Kitkat, the attaching of regular files isn't as simple... well, isn't as straight forward, but the solution is pretty easy. From your composing window for Gmail, just choose to attach a picture/video. Even though it says only pictures of videos, there's options for other files. When you're brought a list of either pictures or videos, just use the hamburger menu slide out to bring up more options to attach. You'll see that you get files from Drive, Downloads (internal storage is shown if you hit the action button / menu and choose settings then 'display advanced devices'). If you have a file explorer as well you can see that option and then just peruse to your appropriate folder to pick a file. Simple! But, like I said, not as straight forward. You would assume that picture/video would only let you have those options... it would be more appropriate if Google had a part that let you say 'attach' and then have a file type picker after.